my decoration with icecream and cupcakes. I love icecream a lot. I am fond of pistachio icecream. I painted a wooden box with a white paint. I put the paper decorated with cupcakes inside. 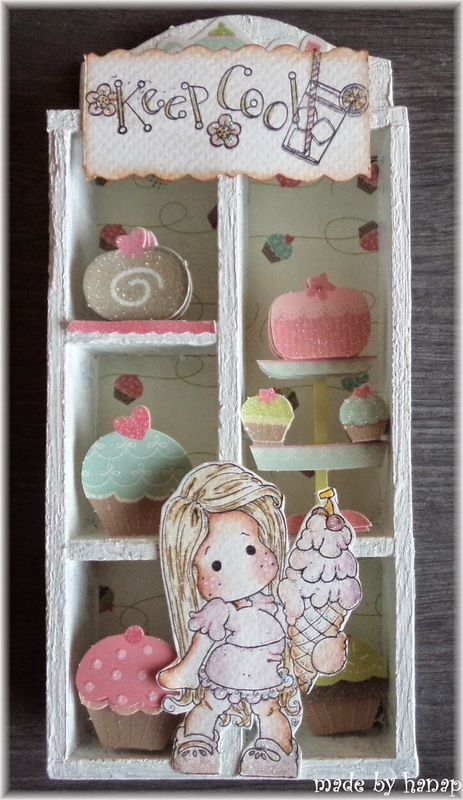 I sticked colourful cupcakes from Tea House col., Papermania Docrafts. 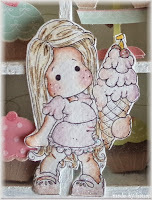 I chose Magnolia stamp Icecream Tilda with Cherry. Then I used the stamp Keep Cool on the top of decoration. The stamp is from col.Vicki Schreiner 2007. Magical! Now I see myself in a sweet-shop. Cakes are delicious and Tilda with ice cream is so cute. 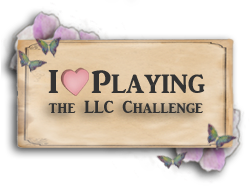 Awesome project; a great entry for LLC's ice cream challenge. Thanks for joining us and hope to see you again soon!